A few months have passed since the greater sage-grouse was deemed “not warranted” for listing under the Endangered Species Act. But that doesn’t mean that I’ve forgotten about the bird. Nor have the countless agency staff at the Department of Interior, Fish and Wildlife Service, Bureau of Land Management (BLM) and Forest Service (FS) who continue to work to ensure that the bird stays off of the Endangered Species List. The listing decision signaled that the state, federal and other conservation plans for the greater sage-grouse should be enough to ensure healthy populations, and now we must continue the hard work on implementing these plans. BLM and FS have already committed to developing Regional Mitigation Strategies for the greater sage-grouse within one year of the September 2015 listing decision – a strategy that I hope will bring consistency, transparency and high standards to mitigation on public lands. 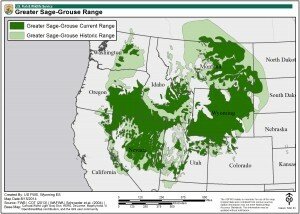 Roughly half of greater sage-grouse habitat exists on federally managed lands, across 10 states. With a range this vast, the sage-grouse will require a high-level mitigation strategy – likely one of the largest and most robust mitigation plans to be put forth by federal land managers to date. This strategy will need to take into account local and state needs, existing plans and ecological differences while ensuring consistent and high-quality mitigation across the species’ range. So what will this strategy look like, exactly? That’s still to be determined, but my colleagues and I have been hard at work developing a set of principles that we believe will create strong mitigation standards, allowing development on federal lands to continue while contributing efficient and effective investments in the greater sage-grouse. Strive for overall improvement in conservation outcomes by following the mitigation hierarchy and offsetting all residual impacts. By prioritizing avoidance of impacts first, followed by minimization, restoration and offsets, the strategy can ensure that the highest priority habitats are protected, and incentive structures can be applied to encourage stewardship and enhancement when impacts do occur. No net loss of sage-grouse habitat is the only way to ensure that populations do not decline, and protect against listing under the Endangered Species Act in the future. Ensure compensatory mitigation fully offsets impacts over time (durability & duration). Agreements and assurances must be used to ensure that offsets are maintained throughout the length of time for which the impact occurs. Ensure compensatory mitigation goes beyond business as usual and does not displace other conservation funding (additionality). To achieve the most per dollar invested, the standard for mitigation must ensure no double counting of a single conservation outcome. Consistently apply high, equivalent standards for credits to ensure mitigation measures are completed as required. It is critical to have consistent standards for credits in the mitigation marketplace to attract market participants, track credit transactions and ensure success. Apply offsets prior to impacts (advanced mitigation). Mitigation projects need to be in place before the impact occurs to avoid loss of habitat. Ensure mitigation measures address landscape-scale conservation planning and objectives across the matrix of public and private lands. 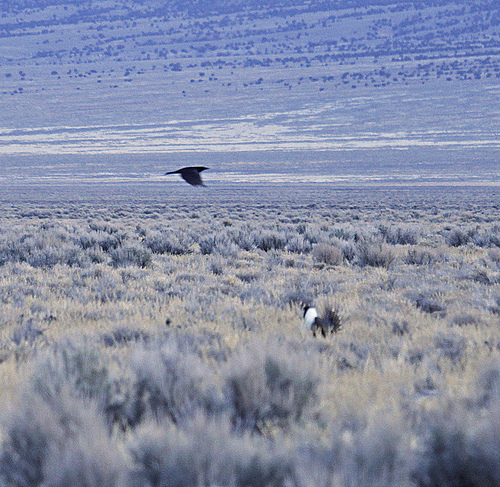 Sage-grouse habitat is found across the matrix of land ownerships in the West, so a landscape-scale approach addressing conservation needs on both private and public lands is essential to sage-grouse success. This will ensure that the market for mitigation expands to facilitate more transactions with greater efficiency and pace. This also guarantees consistent outcomes across the entire range. Ensure offsets occur in a landscape-relevant proximity to the impact location. Offsets should be close enough to the population being impacted so as to be meaningful, while also taking into account habitat priority and the ability of the species to adapt to a shifting landscape. Employ the same or comparable science-based habitat valuation for both the impacts and offsets associated with compensatory mitigation. Impacts and offsets must be measured using the same methodology to guarantee no net loss from mitigation. Establish standard reporting for the outcomes associated with mitigation measures. 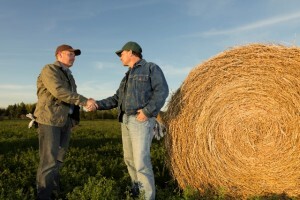 Standard reporting creates more efficiency for market participants and agency staff. We need standard ways to measure progress across the landscape and participants. Integrate adaptive management. It is critical to reassess mitigation standards over time to ensure success and adjust as needed. For example, as climate change brings more extreme weather (drought, wildfire) to the sagebrush landscape, we need built-in flexibility to be able to adjust standards as the habitat and species’ needs change. Offer regulatory assurances to participants in mitigation measures in the event of a future species listing. To attract market participants, federal agencies must offer assurances that protect buyers and sellers from future regulatory requirements, should the species be listed. Farmers and ranchers are critical to conserving greater sage-grouse habitat on both private and public lands. Developing Regional Mitigation Strategies with these principles will be necessary to scale participation – attracting farmers, ranchers and forestland managers to the mitigation marketplace – and to ensure better performance to drive stronger outcomes across the landscape. With strong standards for mitigation, we can keep the greater sage-grouse off the Endangered Species List and sustain the economic and environmental vitality of the West. This entry was posted in ecosystems, Habitat Exchange, Wildlife Protection and tagged BLM, conservation, Endangered Species Act, endangered species list, forest service, greater sage-grouse, habitat exchanges, mitigation, regional mitigation strategy, U.S. Fish and Wildlife Service. Bookmark the permalink. Both comments and trackbacks are currently closed.